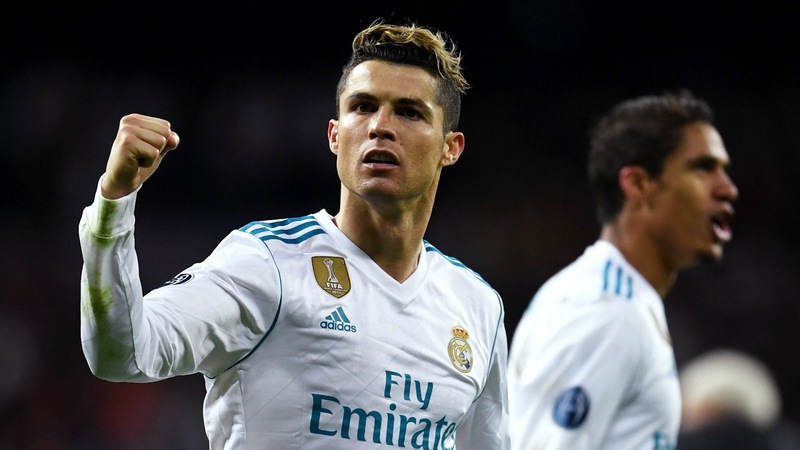 Club legend, Cristiano Ronaldo registered his 300 th La Liga goal for Real Madrid as they defeated 10-man Getafe 3-1 at the Santiago Bernabeu on Saturday. Real Madrid warmed up for the Champions League game against PSG with a commanding display as Ronaldo scored twice with Gareth Bale scoring the other. Welshman, Bale had opened the scoring in the 24 th minute, before Ronaldo scored on the stroke of halftime as Real made light work of their city rivals. Former Chelsea man, Loic Remy saw red after swinging an arm in the face of Nacho just after the interval though Francisco Portilllo’s penalty. Ronaldo scored a late third as the league champions cut the gap on La Liga leaders, Barcelona to 12 points while Getafe remain tenth. Ronaldo, Benzema and Bale all started for Real as they looked to eat into Barcelona’s 15-point lead at the summit of La Liga. Theo and Llorente also played from the start. with Kroos and Modric out with injury ahead of Tuesday’s Champions League clash with PSG. The man for the big occasion, Ronaldo scored his 300 th and 301 st league goals with the double against Getafe, joining an illustrious list of players to have scored 300 or more league goals in a European league. He joins the likes of Eusebio, Gerd Muller and Lionel Messi in that exclusive list. Real boss, Zinedine Zidane is prioritizing the Champions League as the La Liga is looking like a forgone conclusion, but playing the BBC against Getafe shows that he wants his players to be in the right mood for PSG. whilst Getafe are next in action on Saturday in La Liga against Levante.